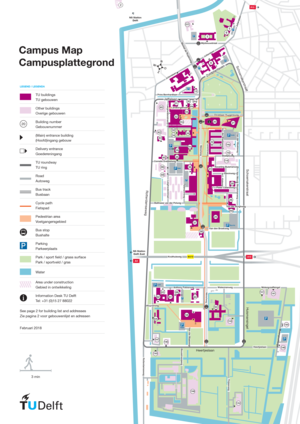 If you are coming by public transport, take the train or bus to Delft Central Station. 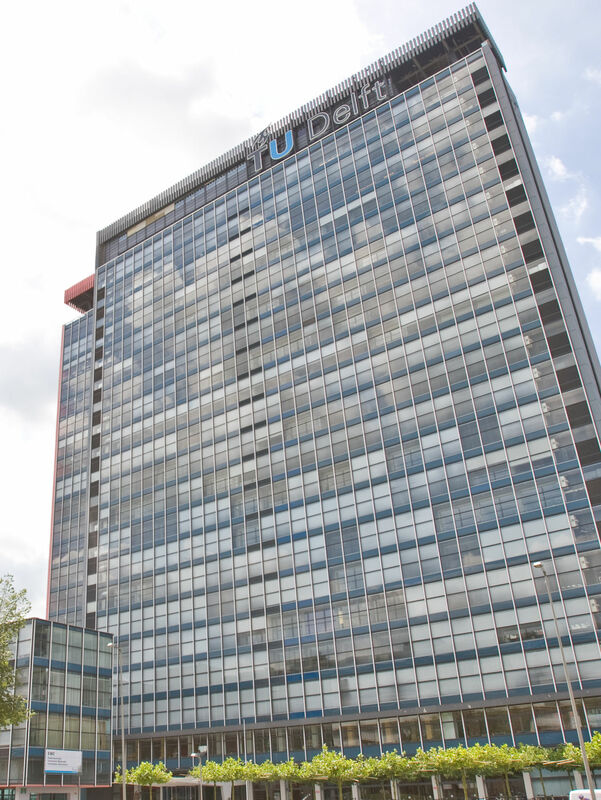 The following buses travel between Delft Central Station and Building 36 on the TU Delft campus. Bus 40: get off at bus stop "Mekelpark"
Bus 69: get off at bus stop "Mekelpark"
Bus 121 : get off at bus stop "Aula TU"
Bus 174: get off at bus stop "Mekelpark"
Restaurant on the 1st floor in the high-rise building. Two at the rear of the building. All floors are accessible by elevator. Route from the car park to nearest entrance: Ground level. Most connecting doors are left open as standard, except those in the central hall and the fire doors in lecture rooms. Access through two electronic sliding doors. All entrances have electric sliding doors. No suitable space for wheelchairs; space in front of the first row or at the back. During public holidays the opening times may differ.